Massachusetts community college students hoping to launch careers in business and entrepreneurship will have a unique opportunity to study abroad and earn their bachelor’s degrees for free through a new scholarship program launched by Shorelight Education in partnership with Bath Spa University and the Commonwealth, the Department of Higher Education announced on February 4. 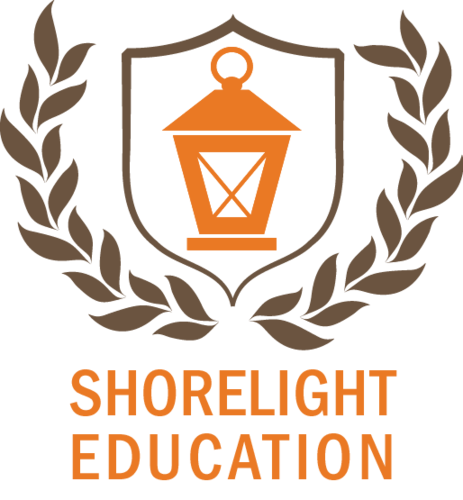 Shorelight, a Massachusetts-based company that partners with leading nonprofit universities to increase access for international students, has established the Shorelight Global Scholarship Program to give two Massachusetts students a full two-year scholarship worth an estimated $85,000 USD including tuition, housing and airfare. Students will attend the undergraduate School of Business and Entrepreneurship at Bath Spa University in Bath, England, and are expected to complete the coursework required to earn a bachelor’s degree. The primary goal of the scholarship program is to help aspiring community college students turn their business ideas into reality through the combination of a rigorous academic curriculum with real-world resources available in the Bath-Bristol region—a major innovation hub and the UK’s second largest community of tech startups. Students enrolled at Bath Spa University’s School of Business and Entrepreneurship will have the opportunity to explore their ideas while learning the fundamentals of business operations and management in an international setting. The program aims to help them launch and manage ventures that can succeed in today’s global economy. The scholarship is tailored for students who are interested in starting new businesses, offering a new product or service, creating an innovation, or commercializing an invention. Students wishing to apply for the scholarship should submit an application prior to the deadline on April 1, 2015. Full details on eligibility and how to apply can be found at the Department of Higher Education’s web site. The CONNECT Partnership, a consortium of five public higher education institutions in Southeastern Massachusetts (UMass Dartmouth, Bridgewater State University, Bristol Community College, Cape Cod Community College, and Massasoit Community College) has contracted with New England Expansion Strategies to conduct a feasibility study to assess the regional training needs necessary to grow the life sciences industry in Southeastern Massachusetts and, subsequently, to develop the appropriate business plan for a Life Sciences Education and Training Center in Taunton, MA. The Center would be proposed as part of Phase V of the Myles Standish Industrial Park build-out, which aims to repurpose the site of the former Paul A. Dever State School on Bay Street in Taunton through the collaborative efforts of the Taunton Economic Development Corporation and MassDevelopment. The CONNECT Partnership institutions would offer programming jointly at the proposed Center. The Massachusetts Life Sciences Center (MLSC), charged with implementing the state’s 10-year, $1 billion Life Sciences Initiative proposed by Governor Deval Patrick in 2007 and approved by the Legislature in 2008, is providing the funding for this study, and the subsequent building project. With the pivotal support of State Senator Marc Pacheco, $5 million in capital funding was designated in the legislation for a project in the Myles Standish Industrial Park. Rod Jané, President of New England Expansion Strategies, shared that he is “delighted to be involved with the Life Sciences Education and Training Center in Taunton. Southeastern Massachusetts has a significant and important cluster of life sciences companies and suppliers. This project can serve as an important catalyst to build upon this foundation and spur economic growth and the creation of new jobs in the growing life sciences sector. Additionally, the project has the advantage of strong partnerships with the City of Taunton and the five higher education institutions in CONNECT who have shown enthusiasm and strong support for the project”. CONNECT is a partnership of five public higher education institutions in Southeastern Massachusetts (Bridgewater State University, Bristol, Cape Cod, and Massasoit Community Colleges, and University of Massachusetts-Dartmouth). CONNECT’s mission is to improve the quality, accessibility and affordability of higher education, and to advance the economic, educational and cultural life of Southeastern Massachusetts. For more information, visit http://www.connectsemass.org . 12,000 jobs and build or rehabilitate 900 residential units. TDC, the City of Taunton’s long-time partner in industrial park development, celebrated its 40th Anniversary last year. TDC, with its all-volunteer Board of Directors, has developed and managed the highly successful 809-acre Myles Standish Industrial Park (MSIP) and the 350-acre Liberty and Union Industrial Park, which in 2013 will together have 112 companies with over 7000 jobs and will generate over $13 million in property taxes. TDC is pleased to be partnering with MassDevelopment on the 220 acre MSIP Expansion and the proposed Education and Training Center. New England Expansion Strategies (NEES), founded by owner and president Rod Jané in 2007, provides project management and consulting services for private sector companies that are investing in facility expansion projects. NEES also provides economic development and planning consulting for municipalities and public agencies. Most recently, NEES completed a Feasibility Study and developed the Business Plan for the Berkshire Innovation Center in Pittsfield, MA which was also funded by a $9.7 million capital grant from the Massachusetts Life Sciences Center. Prior to founding New England Expansion Strategies, Mr. Jané spent 20 years working in senior management positions for General Mills, Duracraft, and Honeywell. Appointed Executive Director of the Massachusetts Office of Business Development by Governor Romney in 2005, Mr. Jané spent two years successfully steering the Commonwealth’s economic development agency. 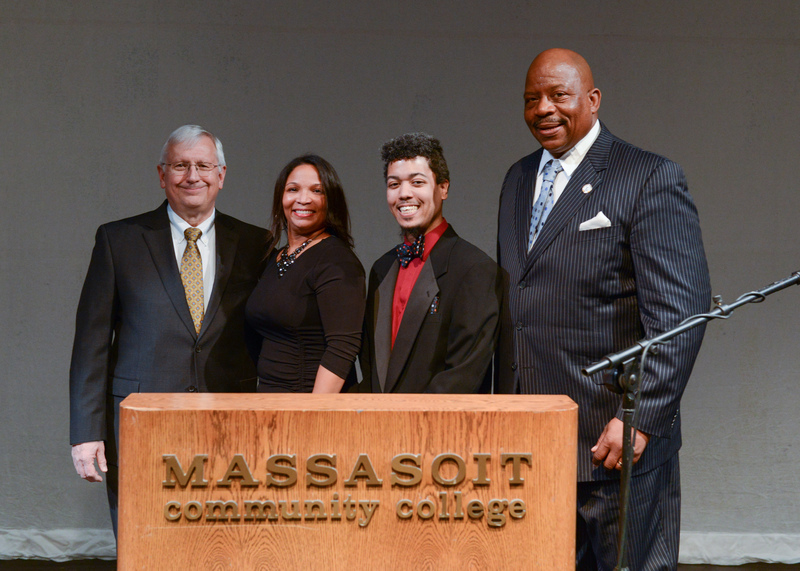 On Wednesday, February 4, Massasoit Community College welcomed Dr. J. Keith Motley, chancellor of UMass Boston, to campus as keynote speaker for the 13th annual celebration of the life of Dr. Martin Luther King, Jr. Jamall Plummer, a student in the liberal arts-science transfer program, served as Master of Ceremonies for the event, which was sponsored by the College’s Office of Institutional Diversity. The program opened with a musical performance of “I Have a Dream” by the 5th grade chorus at Brockton’s Angelo Elementary School. Yolanda Dennis, executive director of Institutional Diversity at Massasoit, gave welcoming remarks and introduced Dr. Charles Wall, president of Massasoit Community College. Dr. Motley spoke passionately about the life of Dr. King. “As institutes of higher education, we’re all working to create a comfortable, familiar setting for students, staff, and faculty. We’re moving in the right direction, but we’re not done yet. And that’s the legacy of Dr. King: to keep moving forward,” said Dr. Motley. Mildred Walker, a student at Massasoit studying elementary education, closed the program with a moving rendition of “The Battle Hymn of the Republic.” The 13th annual Martin Luther King, Jr. celebration served as the kick-off to the College’s celebration of Black History Month. The Office of Institutional Diversity works collaboratively throughout Massasoit with faculty, staff, and students to promote a campus climate that values diversity and inclusion that is free of bias, prejudice, and harassment. 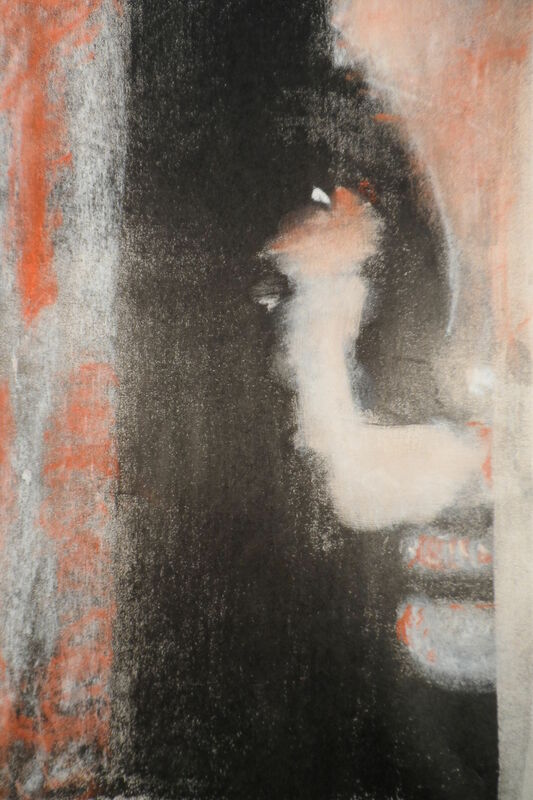 Kelly Maker, a Visual Arts major at Massasoit Community College, is currently displaying work in the Monotype Guild of New England (MGNE) 2015 national juried student exhibition “Layers.” The exhibition features emerging student printmakers from across the country. Kelly’s submission “emerge” is the only featured work from a community college student. The MGNE received submissions from 30 artists totaling 78 pieces. Of those, 18 pieces from 16 artists were chosen by MGNE. “Layers” is being hosted by Curry College from February 1 through March 14 in the Shelley Hoon Keith Quiet Study Lounge. Ms. Maker, a Halifax resident, is a student in Massasoit’s Visual Arts program and plans to transfer to a four-year degree program upon her graduation. The Monotype Guild of New England is a nonprofit organization of more than 250 artists working in the medium of monotypes and monoprints. Founded in 1985, the Guild is dedicated to promoting an understanding and appreciation of unique, one-of-a-kind prints, through workshops and exhibitions. The Guild’s members are primarily from New England; however, there are members from across the Unites States who have sought to be part of an organization dedicated to monotypes and monoprints. Dr. Charles Wall, president of Massasoit Community College, recently announced that David Offutt of Brockton has been named to the College’s Board of Trustees. Mr. Offutt was sworn in on Friday, January 30, 2015. David has more than 15 years of experience in the real estate industry and has since 2008 been the proprietor and broker of Equity Plus Real Estate, which serves the greater Boston area and focuses on assisting clients who face default. 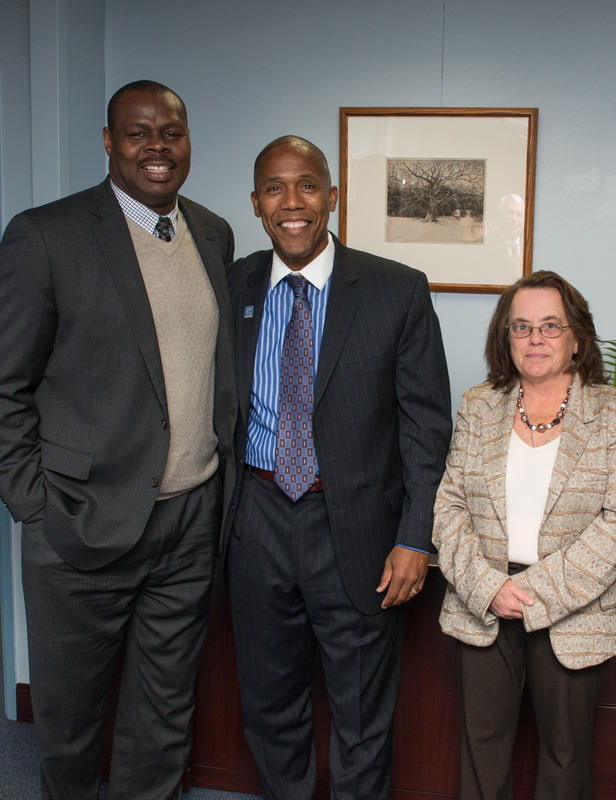 He is also an active and engaged member of the Old Colony YMCA Brockton Branch Board of Governors. Mr. Offutt’s appointment by former Governor Deval Patrick prior to leaving office fills the vacancy left by former trustee Nelson Ross, who had served on the Board since 2011.